Crew-Tom Campbell, Lance Van Schaik, Chuck Van Buskirk, and myself with Ed Thompson driving. All of us are members of the South Florida Spearfishing Club. We left the dock in Lighthouse Point around 8:30am and headed out of the Hillsboro Inlet. My dive buddy today was Chuck, with Tom and Lance diving together. 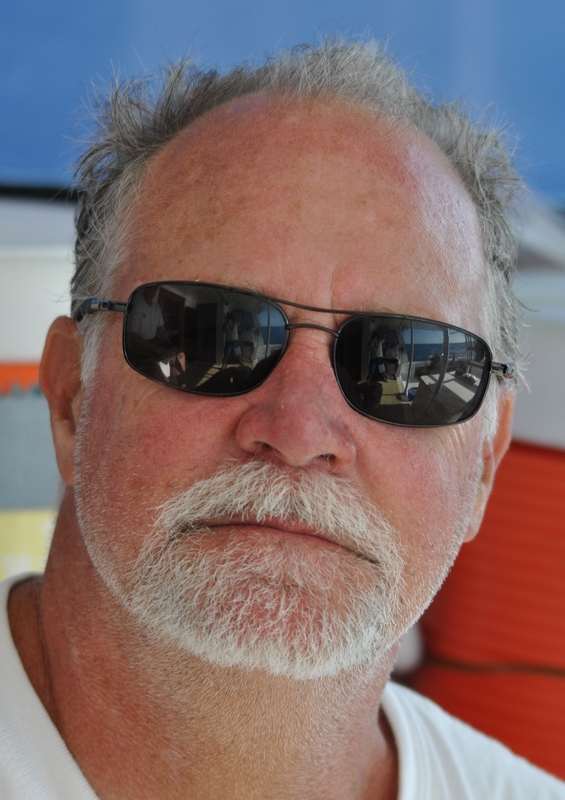 Ed drove the boat, allowing the two groups of divers to go in at the same time, making it a much shorter day. 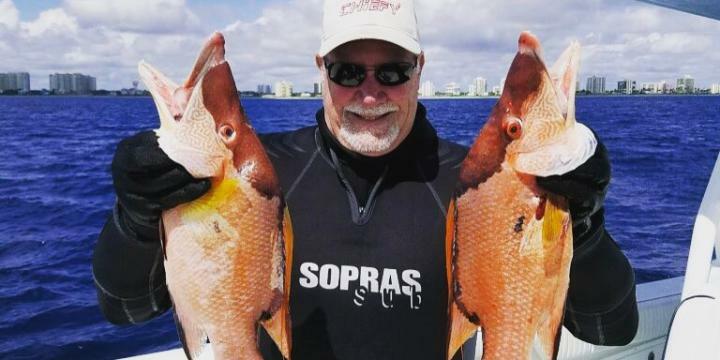 Chuck and I were dropped on the third reef and speared a few fish including three nice sized hogfish and a yellow Jack. Tom and Lance were dropped a little deeper in 70’ of water but didn’t get any fish. Our second dive was along the third reef with Chuck and I doing the smaller reef to the west of the wall. We passed Tom and Lance as they were diving along the wall. It is turtle season, so we saw several different turtles including a loggerhead and a green. They’re usually just sitting on the reef and we try not to disturb them as they are getting ready or may have deposited their eggs on our sandy beaches. Observing turtles while underwater gives divers another unique opportunity during a visit to the Greater Fort Lauderdale area.